Lung cancer. Axial computer tomography (CT) scan of the lungs of a patient with bronchoalveolar carcinoma (black areas), a form of lung cancer. 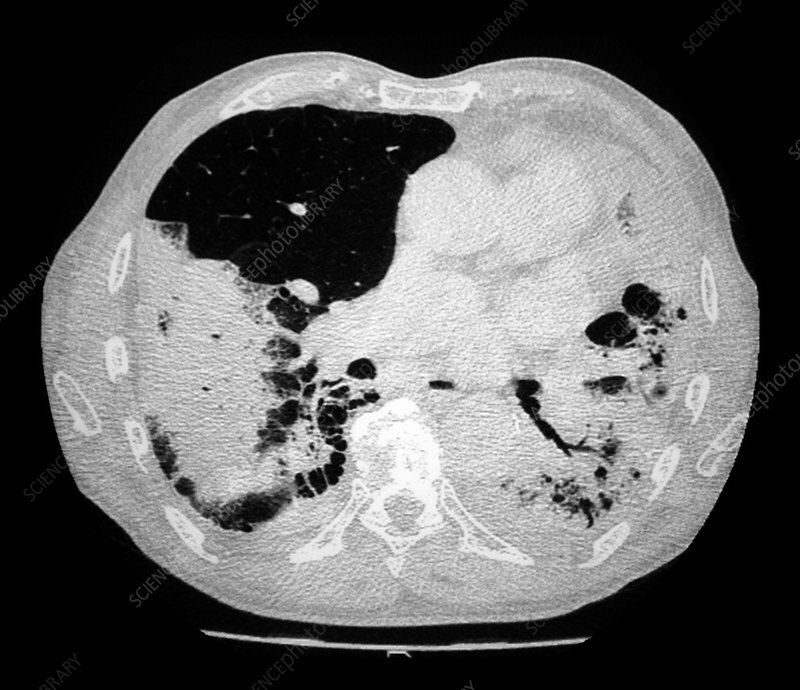 Bronchoalveolar carcinoma originates in the pneumocyte cells that line the walls (septa) that separate the alveoli, the small air sacs in which gaseous exchange occurs. Symptoms of lung cancer include chest pain, shortness of breath, a cough and weight loss. If the cancer has not spread (metastasised) to other tissues, then it may be removed surgically. Other treatments include chemotherapy and radiotherapy.